"Smooth and luscious, ripe and rich with supple, deep flavors; juicy with intensity, elegance and balance; long and seamless. - Anthony Dias Blue"
"From one of the great historic vineyards of Northern California, the 2012 Cabernet Sauvignon Monte Rosso Vineyard, like all of the remaining Cabernet Sauvignons, is aged in 100% new French oak for two years prior to bottling. This is an exceptional Cabernet Sauvignon that can be drunk now or cellared for 25-30 years. Beautiful crème de cassis, cedar wood, forest floor and earthy notes are present in this big, full-throttle, dense Cabernet Sauvignon. The tannins are elevated, but fine and well-integrated. The alcohol is 14.8%, and the wine exhibits a classic style that should prove to be uncommonly long-lived and extremely promising. This is a beauty." Sbragia Family Vineyards is located in the beautiful Dry Creek Valley and is where winemakers, Ed and Adam Sbragia, make their limited production wine. A third generation Dry Creek Valley vintner, Ed is well known for his position as Winemaster at Beringer Vineyards in Napa. He began working at Beringer in 1976, working under legendary winemaker, Myron Nighingale. During his career, Ed has become one of California’s most talented and respected winemakers. The Sbragia family history runs deep in the Dry Creek Valley. Ed’s grandfather came to the valley from Tuscany in 1904, where he worked in wineries, starting at the Italian Swiss Colony. Ed’s father, Gino, acquired his own vineyards near Healdsburg, growing zinfandel grapes for sale and home winemaking. "He made excellent wine," says Ed, "and he taught me that making wine is a very natural process – that good grapes and good techniques will always make good red wine." 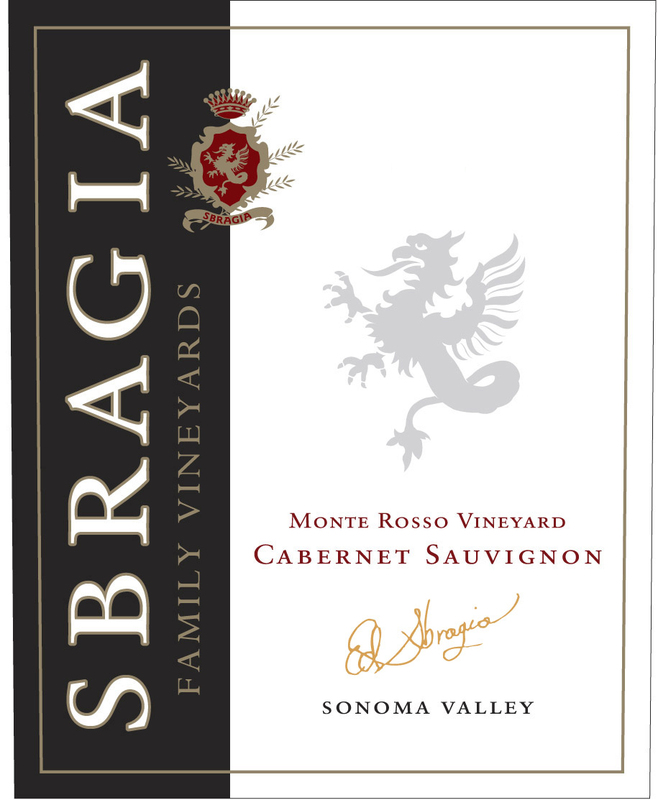 In 2001, Ed created his own label, Sbragia Family Vineyards, to focus on making limited, individual lots of wine from grapes grown in select blocks of his favorite vineyards in Dry Creek, Napa, and Sonoma. Five of the wines, including Sauvignon Blanc, Chardonnay, Merlot and two Zinfandels, are sourced from Sbragia family-owned estate vineyards that range in size from five to thirteen acres. Like his tenure with Beringer, Ed continues to make “big reds,” including Cabernets from Howell Mountain, Mt. Veeder, Sonoma Mountain and Alexander Valley. The wines all exhibit Ed’s distinctive and acclaimed style – big, rich, balanced and polished. At Sbragia Family Vineyards, we source grapes from about 50 acres of family-owned vineyards the Sbragias have been farming for over 100 years in Historic Dry Creek Valley. Ed & Adam also purchase grapes from their favorite vineyards throughout Sonoma and Napa Valleys. I’ve always had one foot in Sonoma and the other in Napa. Both areas mean a lot to me emotionally. I’m more attached to Dry Creek because it’s where I raised my kids. But the wines that I’ve made at Beringer are like children, so Napa is also a very special place to me. Dry Creek Valley, a premium winegrowing region, is located in Northern Sonoma County, California, only an hour north of the Golden Gate Bridge/San Francisco. Renowned for its idyllic undisturbed beauty, Dry Creek Valley is home to over 9,000 acres of vineyards that carpet the intimate 16-mile long x 2-mile wide valley, floor to hillside. With a grape growing history going back 140 years – one of the longest in California – producing premium winegrapes is core to this region. In fact, the valley boasts one of the densest concentrations of Old Vine Zinfandel in the world. Located at the northern end of Sonoma County, the Alexander Valley is 22 miles long and varies in width from two to seven miles. On the hillsides to the east and west, and adjacent to the beautiful Russian River winding along the valley floor, the valley is home to a diversity of microclimates that support the growth of many wine grape varieties including Cabernet Sauvignon, Zinfandel, Chardonnay, Sauvignon Blanc, and many more. Along with being the area where so much of Sonoma County's winemaking history took place, the area is known for its unique terroir, with Sonoma Mountain protecting the area from the wet and cool influence of the nearby Pacific Ocean. One finds a wide disparity between valley floor and mountain soils; those found in flatter, valley areas tend to be quite fertile, loamy and have better water-retention while the soils at higher elevations are meager, rocky and well-drained. In general, the structure, rather than the composition of the soil, is the deciding factor where grape plantings are concerned. The namesake knoll from where this fruit is sourced is part of a larger area of the Napa Valley floor in the far north of St Helena where there is topographical undulation, indicating a onetime geologically active area where there was plenty of movement and unsettled earth as the valley floor was forming millions of years ago. The benefit is wine grapes grown in an area like this display more complexity and in particular, spice notes that other valley floor sites do not inherently possess. The invitingly beautiful, rich, lush burgundy color is your first sense engaging you to taste. The nose gives off black currant, velvety vanilla, subtle fig, and crisp bell pepper with a clean refreshing hint of grapefruit. The finish is long and beautiful with a liveliness and hint of richness, all leading you to a pleasurable lasting finish. Selected from 15 different vineyards located in the Marne Valley, in the Aube and the small Mountain of Reims. It is made of 35% Pinot Noir, 35% Pinot Meunier, 30% Chardonnay.